Which Ravens offensive free agents mesh with Trestman? 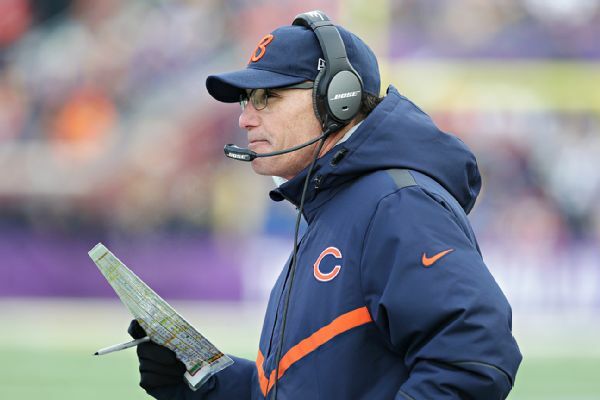 Marc Trestman is the new Offensive Coordinator of the Baltimore Ravens. With the news, the first thing to analyze is what offensive scheme will he bring to Baltimore, and is it a good fit? Come to find out, Trestman is a west coast scheme guy, and told the media upon his hiring that he will learn the Gary Kubiak system that was in place. Trestman claimed that it’s easier for one guy (himself) to learn what’s in place, rather than 25 or so players to learn what he could bring. Discuss your thoughts on this article on our message board. It comes as fantastic news that Trestman is abiding by the “if it ain’t broke don’t fix it” mantra as the Ravens under Gary Kubiak had one of their most efficient seasons. For starters, the Ravens led the league in the least three and out drives. The Ravens offense ranked 9th in DVOA after ranking 30th in 2013. They haven’t finished as high as 9th in offensive DVOA since 2009, the second season of the Harbaugh era. Joe Flacco was also back to his old self, having his best season since 2010, and setting career bests in TDs (27), yards per game (249.1), and QBR (67.3). The switch to a west coast, short, quick passing system, also led a career low in timed he was sacked (19). With Marc Trestman looking to pick up where Gary Kubiak left off, the question is, which players best fit the system? Here, I’ll take a look at the crop of Ravens offensive free agents to be and if they fit the dynamic of the west coast system. If so, what the cost to retain them would be. Teams can place the franchise tag on players between February 16th and March 2nd. Players looking to test free agency would hit the open market on March 10th at 4 p.m., the first day of the 2015 season. Torrey had progressed in each of his first three seasons, topping out with a 65 catch, 1,128 yard 2013 campaign, in a down year for the offense. In the first season in the west coast offense, one where he could have been the focal point with Dennis Pitta missing the season following a week 3 injury, and no one else below him and Steve Smith on the depth chart really threatening him for playing time, Torrey regressed to only 49 catches, and a career low 767 yards. He did catch a career best 11 TDs though. He was targeted 137 times in 2013, and just 92 times last year. Yes, Flacco threw less passes in 2014 (554 versus 614 in 2013), but consider all of the other targets, I find it hard to believe the 45 less opportunities for Torrey Smith is strictly because of running the ball more. Flacco’s 554 attempts were the second most of his career. Why the drop in production? Torrey isn’t a physical receiver, so getting jammed at the line disrupts the timing of a route. Timing is key in a system predicated on short passing where Flacco is often throwing into a tight window between two LBs, a LB and CB, or over a LB and under a DB. Torrey has also developed a case of the drops. Finishing with the second most drops among qualifying WRs with 11 (targeted 92 times). 11 is tied with Kelvin Benjamin (targeted 142 times) and Julian Edleman (targeted 124 times) and runner up to Mohamed Sanu who led the league at 14 drops (targeted 97 times). I get that drops are subjective, but I would find it hard to believe that the statisticians would not give Smith the benefit of the doubt 11 times. Of those drops, five of them were on balls over 20 yards downfield, most in the league. How many big plays did Torrey Smith cost the Ravens? On 13 catchable balls over 20 yards, Smith reeled in just eight. 38.46% is the second worst drop rate in the league on deep passes, second to Justin Hunter who dropped four out of nine (44.44%). But Torrey Smith apologists will claim he is a deep threat. Is he? He is fast, and his speed will draw pass interference at times. But not enough to make a big picture difference. Torrey is just not a fit in this system. He can do damage when he catches balls in open spaces with YAC, but the Ravens have never really seemed to put Torrey in that situation enough, running him out of the slot position where he can settle in between zones and isn’t faced with man and press coverage all the time. That’s the Ravens fault. A good comparison to Torrey Smith would be Golden Tate. Similar speed, under-utilized in short passing systems like the Seahawks ran. But when Tate was placed in the Air Coryell system in Detroit a year ago, he flourished. Even more than expected playing opposite Calvin Johnson. Torrey Smith was on his way to becoming possibly a number one someone’s depth chart as he posted that great 2013 season in the AC system. The WCO was a huge step back. He just doesn’t fit. Right player right price? Well, if he doesn’t fit the system he isn’t the right player. If he has a case of the drops, and doesn’t bring much to the table other than speed, which will drop off year after year, it would be hard to offer him a contract similar to Tate (5/$31M) or Eric Decker (5/$36.25M) who were some of the top paid a year ago. In the right situation, Torrey will probably earn that contact, but here in Baltimore is not that right situation. Forsett has been on five teams in his seven years in the NFL. He’s been a situational back, never really a top of the depth chart, and a guy that shows up great in special teams. Signed in 2014 by the Ravens as a special teamer (John Harbaugh’s favorite) who would also be third on the depth chart behind Ray Rice and Bernard Pierce. Forsett is also familiar to the Kubiak system, playing for Gary in 2012. In six seasons prior, Forsett had touched the ball 462 times. 77 times a season on average. In 2014, some unfortunate circumstances surrounding Ray Rice’s release, Bernard Pierce not answering the call, and Lorenzo Taliaferro eventually missing the remainder of the season with injury, Forsett garnered 279 touches. Nearly four times his average, and 124 more touches than the most he ever amassed. How would his body hold up over the season as the touches piled up? He finished the season on a high note with 24 carries and two catches for 146 total yards and a score. 5.6 yards per touch in what became the season finale against the Patriots. 26 touches was tied for the most in a single game for him in the 2014 season. It was a career year in Kubiaks zone blocking running system for Justin Forsett as he was second in the league in runs over 15 yards with 18 of them (DeMarco Murray, 27). His breakaway percentage that measures the amount of yards that come from runs of 15+ yards was best in the league at 41.7%. Of RBs that were similar or statistically better than Forsett, only Le’Veon Bell and Eddie Lacy had a better pass blocking efficiency than Forsett, which helped Flacco have a stellar year. Right player right price? If Trestman is true to his word that he will learn what’s in already in place, it is hard to say that Forsett isn’t the right player. He has that blend of patience and burst that made guys like Terrell Davis, and Arian Foster so good in Kubiaks system. The offensive line should remain intact for the 2015 season, so there is no reason to think Forsett can’t have similar success. The fact that he will turn 30 years old in October of the 2015 season might be a red flag. But also take into consideration that he is a 30 year old with a 25 year old backs mileage on him. He hasn’t been ridden hard for seven years and showing signs of breaking down. Right price would be in the neighborhood of what Steven Jackson received from the Atlanta Falcons in 2013. At age 30, Jackson signed for three years and $12M, $4M guaranteed. Jackson also came along with an injury history, and a lot of mileage that Forsett doesn’t have. He also comes along with more proven success that the one year from Forsett. I feel like given the pros and cons from both, the 3/$12M is a fair number, maybe more. In 2011, Frank Gore signed a 3/$19.2M, $13.5M guaranteed at age 28. Again, younger, more proven, I don’t think number for Forsett should be more than three years, and should not come near that $19M number. Splitting the difference in Gore and Jackson at 3/$15.5M would be about the absolute highest someone would go on Justin Forsett. Daniels, another hand-picked by Kubiak guy, made a nice impact on a one year deal worth just $1M with no guaranteed money. Extremely low risk, high reward move by the Ravens that paid off, and was a backup plan that became necessary with fellow tight end, Dennis Pitta, missing the remainder of the season after just three games. Daniels, 32, had a nice season by his standards. Nothing earthshattering, but did find the endzone four times. He posted 48 catches for 527 yards. Not bad, but he is certainly over the hill as far as football careers go. 11 yards per catch, 3.2 catches per game, and 35.1 yards per game in 2014, are all below Daniels career average. Right player right price? How much stock do you put in to Dennis Pitta coming back from a second broken hip? Reports are he will be 100%, again. How much did Crockett Gillmore step up in his rookie year, and what is his role going forward? In limited time he racked up 12. Yards per catch, and two catches for 30 yards with a TD in the playoffs. So right player, more like serviceable player. Serviceable players don’t get big contracts. The one year deal was due in large part to the fact he broke his leg the year prior. With no lingering effects from that, the right price, similar to a guy like Benjamin Watson. A serviceable tight end with some age on him. Watson signed with New Orleans in 2013 a 3/$4.95M deal at age 33. It’s a step up from the $1M Daniels got, (about $1.66M per year), but it’s not going to break the bank for a number two TE who is still able. Taylor hasn’t much action as the back up to Joe Flacco. It’s like being the backup shortstop/3rd baseman on the Orioles from 1982-2000. You get good at holding a clipboard. When Taylor has seen the field it’s been unimpressive, but he wasn’t unseated by rookie 6th round pick Keith Wenning last year either. There are not many backup quarterbacks that are past their rookie contracts, that also have so little playing time as Taylor has. Think of guys like Chad Henne, Matt Moore, Bruce Gradkowski, Charlie Whitehurst, Kellen Clemmens, Derek Anderson. All of which have seen a little playing time in their tenures. The closest thing to Tyrod Taylor is T.J. Yates, also a free agent to be, who was realeased by the Texans after three years, and signed by the Falcons in the last year of his rookie contract. Yates started seven games in 2011, and hasn’t seen any action since. Right player right price? (Author shrugs his shoulders). Who knows? Is someone like Yates a better option than Taylor? Is another free agent to be like Blaine Gabbert an upgrade, or a downgrade? Is Keith Wenning after a year on the practice squad ready to take the job? I doubt it because no other team plucked him from our practice squad in 2014. It would be easier to determine if Taylor ever earned some extended playing time. This might be a situation for Trestman to address. Like Kubiak has his guys (Forsett, Daniels), Trestman might have a guy that is capable if called upon. Trestmans guy might be Jimmy Clausen, back up to Jay Cutler last year, signing a one year deal in Chicago for $645K. Maybe the Ravens can get him for 2/$1.5M. Clausen stared 10 games in 2010 for Carolina and went 1-9. He started the final game of the second to last game of the year for the Bears in 2014 and went 23/39, 181 yards and 2 TDs with 1 INT against the stout Detroit Lions defense. Reid has been nothing but disappointing since being drafted four years ago. Injuries have been an issue. He has played as a big guy, and slimmed down to try to be more mobile in the zone blocking system. Neither was good for him. Not even a debate of right player right price. Time to move on.